1st on eight- 8. Rung to welcome Revd. William Smith as 49th Vicar of Lillington. First submitted Monday, 22 October 2018 at 13:01:53 by Christopher Mew. 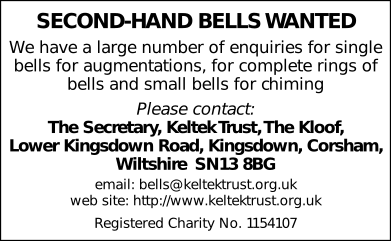 Sent for publication in The Ringing World on Monday, 22 October 2018 at 13:02:20, and printed in one of issues 5611, 5612 or 5613.